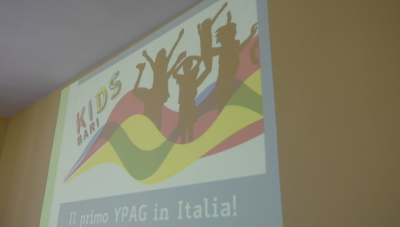 On June 7th, 2017, the YPAG of Bari has been launched with the name of “KIDS Bari”. 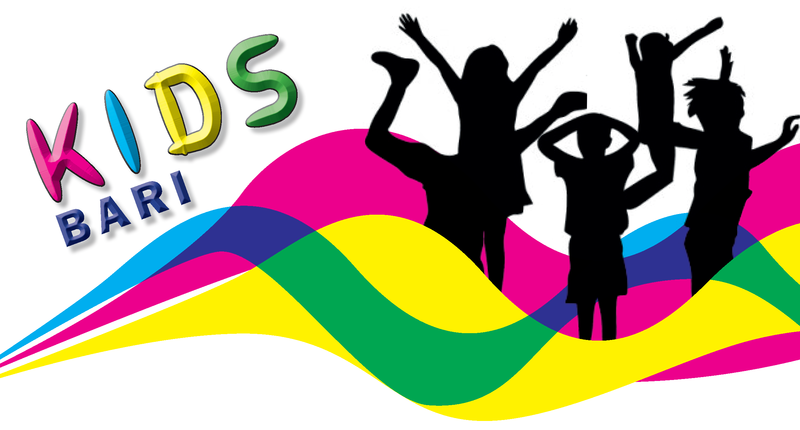 The group is a new member of iCAN (International Children’s Advisory Network). KIDS Bari is promoted by Consorzio per Valutazioni Biologiche e Farmacologiche (CVBF) in collaboration with the TEDDY Network (European Network of Excellence for Paediatric Clinical Research), the Paediatric Hospital “Giovanni XXIII” and the University Hospital Azienda Ospedaliero-Universitaria ConsorzialePoliclinico di Bari. Policlinico of Bari and the paediatric hospital “Giovanni XXIII”, together with CVBF, are partners in many European research projects and involved in several paediatric clinical trials. The European experience in clinical research and the collaboration with CVBF will represent a benefit and a driving factor for the YPAG in the promotion and understanding of the clinical research by the YPAG. The YPAG is composed by about 20 young people (new members can be added whenever they apply), age range 12-18 years, both including young patients and healthy youngers. The YPAG won’t be associated with a particular health condition or disease. KIDS Bari members have been recruited through the hospitals and the patients’ associations, by means of schools, associations, friends of patients and their families and were selected according to their motivation and interest in improving health research. Members have a good knowledge of English, according to their age. The group meets every 4-5 weeks and follows a training course focused on learning about the research process. Education, in fact, is an important aspect in the development of the YPAG. To address the objectives of the group, education is thorough, relevant, and ongoing. The training team involved professionals, such as investigators, child psychologists, pharmacologists, paediatricians and communication experts. The training team have different professionals involved, such as principal investigators and research nurses, psychologists, pharmacologists, etc. The YPAG is regulated by a kids’ chart defining the frequency of the meetings (approximately every six weeks), the activities and a behavioral code. Collaboration with the already existing YPAG is enhanced since learning with peers is of great value for the group and can allow young people to test their skills with partners and to interact without reverence. The peer education constitutes, indeed, an educational proposal in which some members of a group are trained to play a tutorial role. Peer education often helps to promoting relationship of mutual education, as recommended by modern development psychology. Provide Young People with: Information on research; Participant, Patient documentation and materials such as apps; Clinical trial protocols. The kick-off meeting was held at the Paediatric Hospital “Giovanni XXIII” and involved potential members, their parents, but also many clinicians, institution representatives and patients’ associations who will contribute to the organization of the training activities. Many speeches have been held during the afternoon. 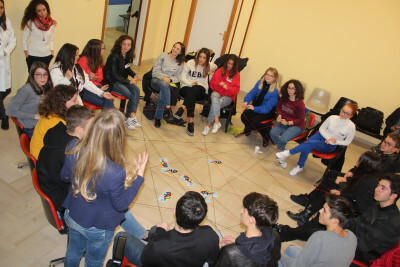 The team leader Mariangela Lupo introduced the initiative and the activities foreseen within the KIDS Bari group sharing with the audience examples of the activities already carried out by others iCAN groups. Donato Bonifazi, Chief Executive Officer of CVBF, described the aims of the group intended to train motivated kids to clinical research allowing them to give their contribution and make their voice heard. Mariagrazia Foschino, responsible of the Psychologist unit of the Paediatric Hospital “Giovanni XXIII”, underlined the value that this initiative can add for all the stakeholders involved in medical research field, promoting a kid-friendly approach. 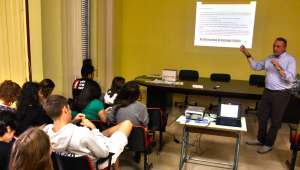 Claudio Fracasso, Scientific Advisor of the International Children Advisory Network (iCAN), sent a welcome video to the future KIDS Bari members to explain them the concept of advocacy. Moreover, during the meeting the kids had the opportunity to talk with a EUPATI expert patient, Anita Pallara, who shared with them her personal experience of living with a disease. During the meeting, a leaflet, the outline of the group and a consent form to collect and use personal data were provided to all the kids asking for their adhesion. 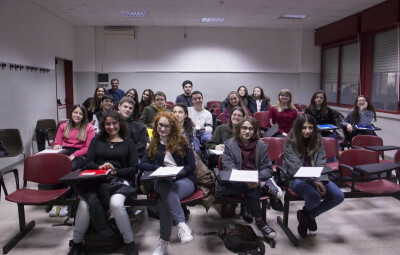 A service on the event has been broadcasted by the television channel Telebari and it is available at this link and a news has been published on the on-line newspaper Quotidiano Sanità, available here. The first official meeting was held on November 3rd, 2017 to present to the kids the activities foreseen during the next months. The KIDS Bari staff was presented, and the kids were invited to do the same, introducing themselves and discussing and sharing their experiences and expectations in order to know each-other better. It was described the training plan foreseen for the sessions 2017-2018. To stimulate their curiosity, kids have been asked to catch pieces of paper containing key words related to the themes that will be addressed during the training and each word has been discussed. Moreover, a video capturing the highlights of the kick-off meeting has been showed. What is a drug? What is an active substance? After the classroom-taught lesson, practical activities have been carried out to make easier the comprehension of how to use a package leaflet of medicinal products. The slides shown during the lesson and additional materials have been sent to the kids after the meeting. This meeting has been focused on topics related to Drug Discovery and Development. Cosimo Damiano Altomare, Professor of pharmaceutical chemistry at Pharmacy – Pharmaceutical Sciences Department (University of Bari), started from the definition of drug towards the long process of drug development and approval. He described the several phases of this process (drug discovery, preclinical studies, clinical trials, post-marketing surveillance phase) and which factors have to be taken into due account during the drug development (solubility, stability, permeability, metabolism). Antonio Carrieri, Professor at Pharmacy – Pharmaceutical Sciences Department (University of Bari), showed them 3D structure of some drugs and explained how specific software can help researcher to predict the binding-conformation of the drug (ligands) to the appropriate target binding site (molecular docking method). 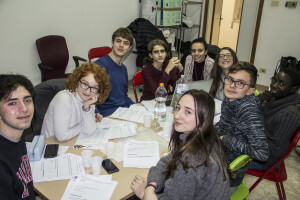 After this introduction, the kids visited the galenic laboratory of the Pharmacy – Pharmaceutical Sciences Department (University of Bari) to understand how different drug formulations are produced. It was amazing to see how to fill capsules with the desired drug using a manual capsule filling machines or to produce a gel formulation. 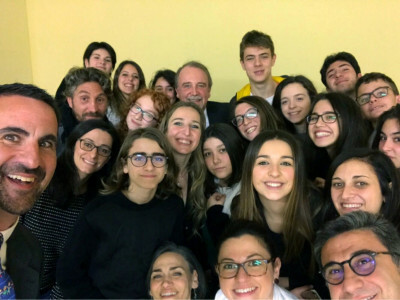 This meeting was the occasion for the KIDS Bari members to meet Charlie Thompson, iCAN Chair & Founder, and Claudio Fracasso, iCAN’s Scientific Advisory Board member. 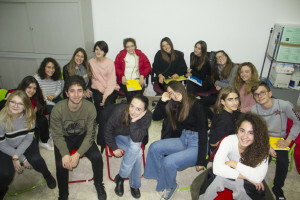 The first part of the meeting was dedicated to the Humanization of the Healthcare Pillar and the KIDS Bari youths visited the Paediatric Nephrology Department with Mario Giordano, Paediatric Nephrologist at the Paediatric Hospital Giovanni XXIII, who explained them how the dialysis works and how it could affect young patients’ life. Moreover, the kids met some patients during the dialysis treatment. During this meeting many topics were addressed with the support of the Psychologist of the Paediatric Hospital, Stefania Ferrante and Terry Antonicelli: doctor-patient relationship, humanization of the healthcare, voluntary organizations activities, rare diseases. Then, the kids visited the MRI Rooms (Magnetic Resonance Imaging), that have recently been renewed to create a cosy and comfortable environment for the young patients that need to perform this test. The designer Sally Galotti, made these rooms a fantasy place with colours and drawings. A service on the meeting has been broadcasted by the television channel Tele Dehon and it is available at this link. Basic Research and its applications in the development of new paediatric treatments have been the main topics of this meeting. 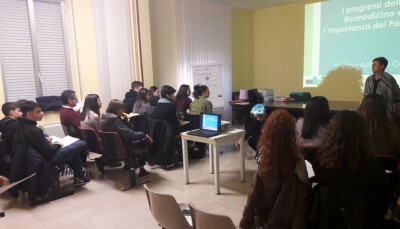 The researchers of CVBF, Angelica Intini and Doriana Filannino, held the lecture stimulating the curiosity of children about some important themes such as the importance of the choice of proper experimental models, the timelines of the drug development process and the translational research. Doriana Filannino introduced the presentation, explaining what basic research and pre-clinical studies mean, and how this phase is fundamental to know the pathologies and find effective treatments. Moreover, she introduced the experimental models that researchers use usually (in vitro, in vivo, ex vivo and in silico models). Later on, Angelica Intini provided a practical example of translational research, describing the therapeutic approach adopted by a team of researchers at the Paediatric Hospital “Bambino Gesù” of Rome. They treated a paediatric patient affected by acute lymphoblastic leukemia through the engineering of lymphocytes isolated by the patient and made capable to recognize and kill the tumor cells. 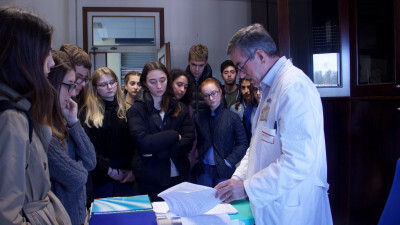 The last part of the meeting has been dedicated to the visit of the Laboratory of General Pathology at the Paediatric Hospital “Giovanni XXIII”, with the Dr. Biologist Domenico Griseta. 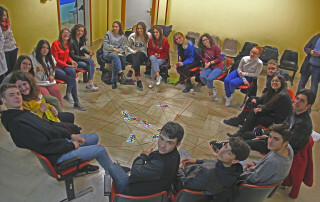 Finally, Mariangela Lupo and Maria Cavallo have involved the youths in an advicing activity. A questionnaire developed in the framework of EPTRI (European Paeditric Translational Research Infrastructure) has been provided to the youths. This questionnaire will be distributed online among the patients and care givers in Europe to get more information about more user-friendly pharmacological formulations. 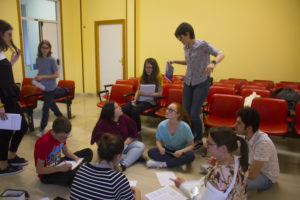 The members of KIDS Bari have been invited to provide their opinions on the comprehensibility of the language used for the questionnaire and suggest, if necessary, terms and sentences more adequate for the children. During this meeting, Dr. Giovanni Carlo Del Vecchio, pediatrician at the Policlinic of Bari, held a lecture on Clinical Research. He explained why it is necessary to perform experimental studies, starting from the definition of “care” and “clinical evidences”. He showed the different phases of the clinical research and the different clinical studies (Phases I, II, III and IV). Moreover, he illustrated who are the several figures involved in the clinical research, indicated as stakeholders and explained the importance of considering the specificity of the paediatric age in the treatment and the different approaches of the cares for each ages (newborn, children, teen-ager). An important part of his lecture has been dedicated to the different types of communications: informative, demonstrative, persuasiveness and in particular the communication among the physician, the patient and the family of the paediatric patient, especially in case of clinical studies. Dr. Del Vecchio illustrated the meaning and the importance of the “patient empowerment” and the importance for the patients to be part of the decision-making process related to the cares and the experimental phase, explaining also the importance of YPAG members in this field. He also provided a practical example of this, illustrating the DEEP-1 study, a paediatric clinical study of pharmacokinetics, conducted within the DEEP Project – Deferiprone Evaluation in Paediatric. He is the Pricipal Investigator of the study, that foresees the evaluation of Deferiprone, an iron chelation drug intended for patients affected by thalassemia and still ongoing in various European and extra-European clinical centers, including the Polyclinic of Bari. The second part of the lesson has been focused on the candidacy and the selection of some members who will represent our group at the iCan Global Summit that will take place in Edinburgh in July. 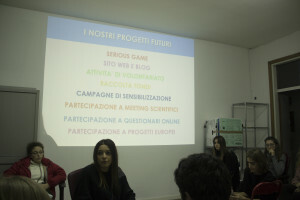 Nine young members applied voluntary and explained their motivations for participating. The whole group expressed its preferences, voting for two names among the candidates. Taking into consideration both the results of the voting and some criteria such as the English language knowledge and the presence of some patients (in order to represent the group homogenously), the staff indicated seven youths who will participate to the summit in Edinburgh. The meeting was focused on the theme of the Human Rights as on the meetings in Edinburgh and Rome, respectively on 8 – 13 July (iCAN Summit 2018) and 10 July (SIAR Conference). Firstly, the group showed and discussed the contents of the presentation provided at the iCAN’s fourth annual Research & Advocacy Summit, in Edinburgh, on July 2018. Kids received various inputs and expressed their ideas on how to realize an original and appealing presentation. 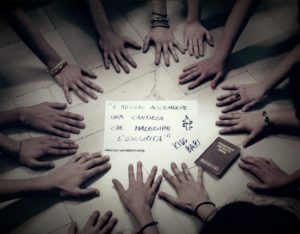 Team leaders announced the participation of KIDS Bari at the Conference organized by SIAR (Società Italiana Attività Regolatorie) with the patronage of AIFA (Agenzia Italiana del Farmaco), the Gianni Benzi Foundation on July 10th in Rome, where KIDS Bari members have been invited to discuss the importance of patient active participation in new therapies development process. In the second part of the meeting, the group met an Amnesty International delegation. 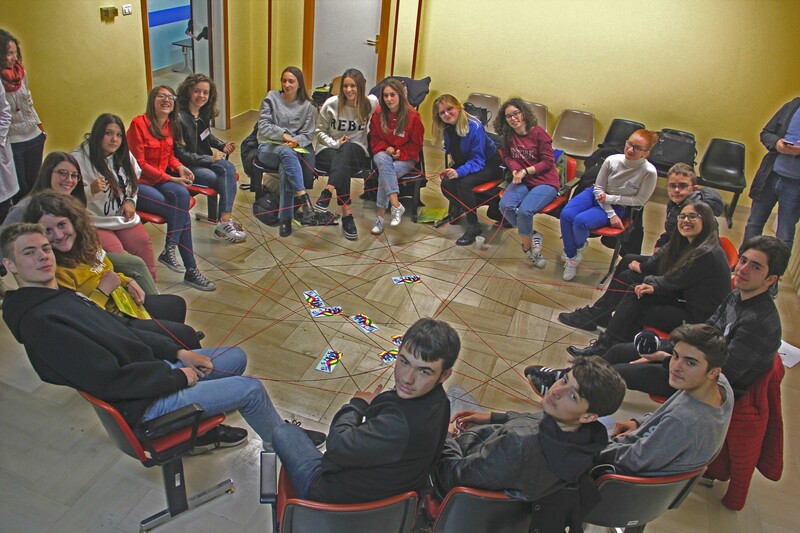 The group went through various team games, to reflect on some themes such as human rights, the rights of childhood and adolescence and the condition of the hospitalized patients. During this meeting, Dr. Claudio Fracasso, the Global Pediatric Medical Director of the Pfizer Pediatric Center of Excellence, discussed the Ethical principles in the healthcare and clinical research, providing an overview of the history of the ethics in the clinical trials and the Good Clinical Practices as well as the informed consent for the patients. Later on, Dr. Fracasso invited the members to perform an exercise on the analysis of informed consent module, previously modified to eliminate some essential parts. The task of the children was to identify the missing information. This exercise was useful to find out the characteristics of this form and stimulate the analysis process of such important document. The meeting took place at the paediatric hospital “Giovanni XIII” of Bari, after the summer break. Two new members have joined the group. Therefore, team leaders presented the KIDS Bari activities and its objectives, with a particular focus on the training plan. The second part of the meeting has been dedicated to the survey prepared by the Working Group on Clinical Trial Preparedness of the Enpr-EMA. Team leaders asked to the group to answer questions about different areas of paediatric drug development, such as planning, implementation, conduct, and follow up of trials in children. In particular, their experience and views on contributing factors for performing high quality clinical studies in a timely and effective manner have been collected and discussed. 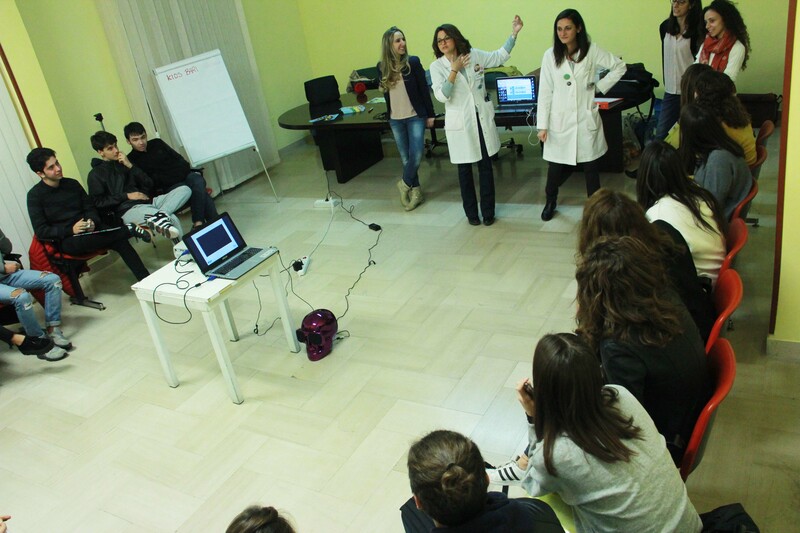 The tenth meeting of KIDS Bari took place at the “Giovanni XIII” Paediatric Hospital of Bari. 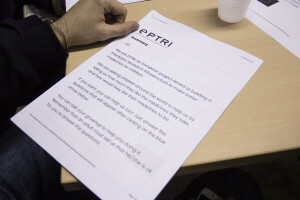 The group dealt with the revision and translation from English into Italian of a survey developed in the framework of EPTRI project (European Paediatric Translational Research Infrastructure). The questionnaire, addressed to the paediatric population, aims to investigate how much children and youths like the medicines (and the administration route of the drug) they take and how would they like their medicines to be. The students provided useful ideas to make the questions more appropriate and understandable for children and young people, simplifying the language and providing more detailed explanations for some questions. A part of the meeting was dedicated to the presentation of the work done in Edinburgh during the fourth iCAN World Summit. The representatives of the group who went to Scotland last July, summarised the activities carried during the summit to the rest of the group and to the new young members. 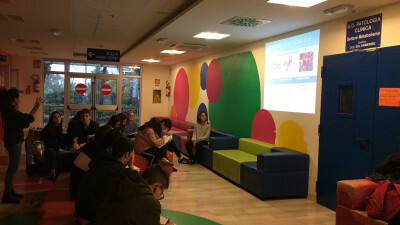 During the meeting, held at the “Giovanni XXIII” Pediatric Hospital, the youths analysed three different models of informed consent form, addressed to paediatric patients involved in real clinical trials (DEEP-DEferiprone Evaluation in Pediatric, GAPP-GAbanetin in Pediatric Pain, PROMISE – Drugs for Paediatrics MultIple SclErosis). The aim was to learn to evaluate the compliance of the forms and their content to the Good Clinical Practices, the readability and understanding, the adequacy of the images, also suggesting improvements. The second part of the meeting was focused on the planning of the awareness campaign for the national day against Cyber bullying. 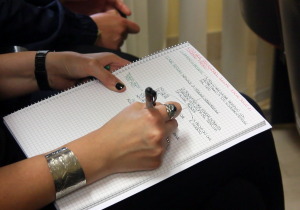 This part was carried out with the support of the group of Clinical Psychology of the Paediatric Hospital of Bari.